Richard Royal, Optical Lens Series (untitled), 2017. Blown glass. H 18, W 18, D 18 in. courtesy: the artist. The Pittsburgh Glass Center (PGC) will feature Richard Royal at its annual Art on Fire celebration and auction this September, coinciding with his residency at PGC. Royal, a former gaffer for Dale Chihuly at the Pilchuck Glass School, creates art fueled by his interest in the math inherent in nature, and he is drawn to the geometric possibilities of the material, as well as its optical properties. He's been blowing glass for more than 30 years and combines both blown and solid glass elements in his internationally recognized and highly photogenic work. Royal’s art has been on exhibit at the Mint Museum of Art and Design, the High Museum, and the New Orleans Museum of Art, among others. Royal is a prolific teacher, including a regular at the Pilchuck School. He has also taught before at PGC. As honorary artist, one piece of Royal’s work from his optical lens series will be for sale at the auction. In a telephone interview, Royal told the Glass Quarterly Hot Sheet that he thinks of the auction piece as an homage to the fresnel lenses found in the lighthouses of his native Northwest. “It’s a really pure glass blowing exercise. It’s simple in form but complex in viewing because there’s movement in the optic. The piece is pulsing as you walk around it,” he said. Royal said his work under Chihuly greatly influenced the way he thinks about art. “It taught me a lot about art and the business of art. When you are not familiar with the industry as a whole, you don’t understand that there’s a business aspect to it in order to get the artwork out there and have it be viewed by the general public. [Chihuly] felt that more people would see a photograph than they would an actual piece,” he said. For this reason, Chihuly taught his students to create art that would photograph well, a noticeable feature of Royal’s pieces. One of Royal’s most photogenic series is the “Geometric Series” he has been working on most recently. 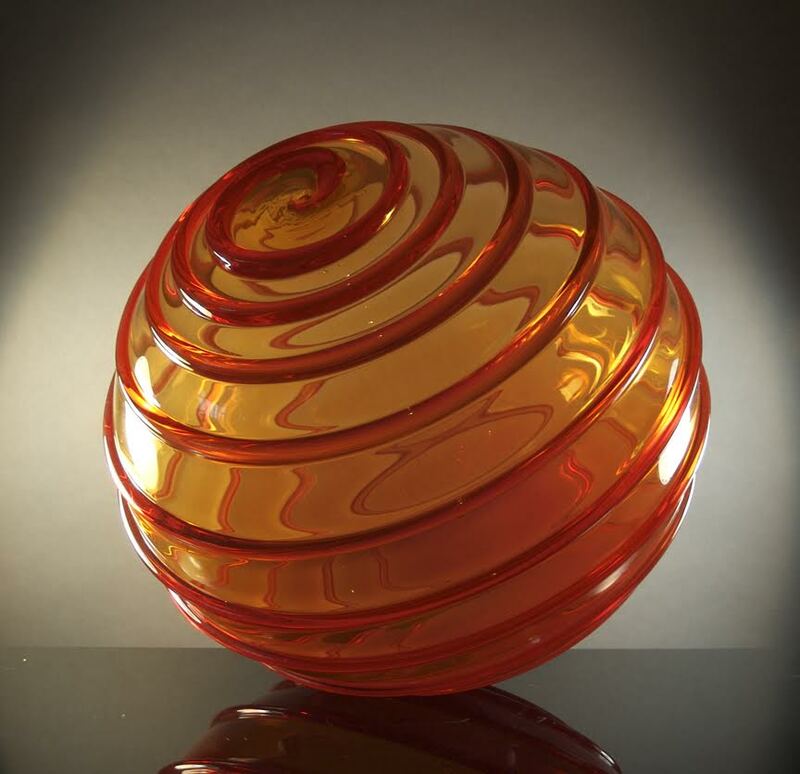 Royal's work has a sharp sense of color and, as James Yood of the Chicago Art Institute noted, he is "best known for sinuous, curvaceous sculptures that showcase his extraordinary ability to twist blown hot glass into slow serpentine spirals." 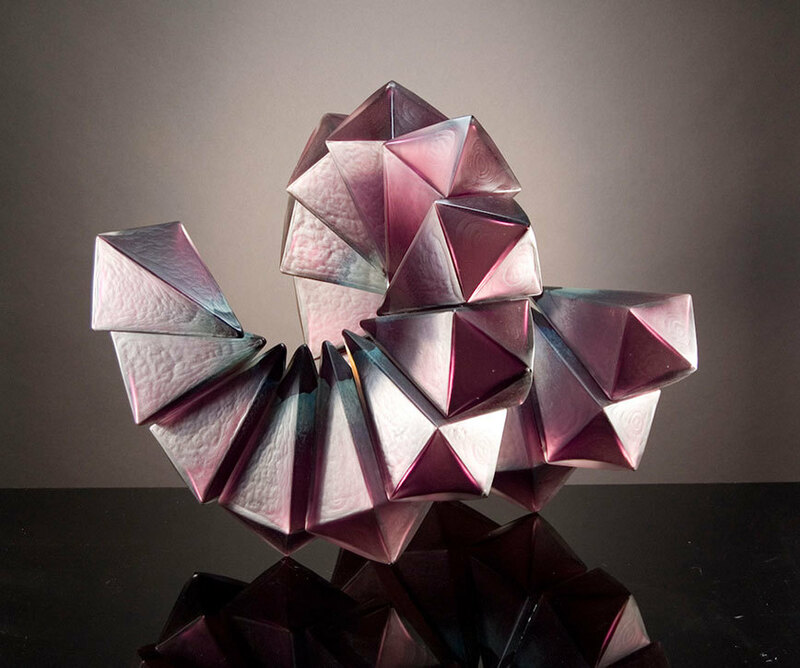 But in his newest series of geometric pieces, he experiments with rigid, monochrome figures. Instead of spirals, this new art consists of geometric shapes glued together to create a larger form. “I am fascinated with fruits and vegetables, and how there’s this symmetry that happens, like cell growth. There’s all this kind of mathematical development,” he said. Through this art, Royal explores the way mathematics permeates our consciousness by appearing in nature and outer space. “I wanted to make an object that people looked at and it felt familiar, but they weren’t quite sure why. But it’s because they had seen it before in their daily lives,” Royal said. “The reason I like the spherical shapes is that in space, everything wants to be round because a sphere has the least amount of tension on the surface,” he added. 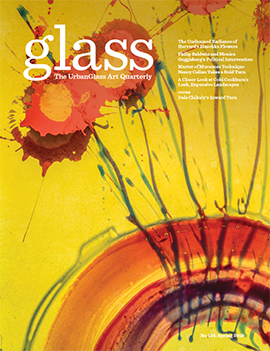 On the significance of the residency at PGC, Royal said, “This is a great opportunity for me to do some things that I might not spend the money to do.” He noted the costly nature of glass blowing, pointing out that an artist normally feels pressure in their studios to create things that will sell, but that a residency affords an opportunity to work on ideas without any financial repercussions. 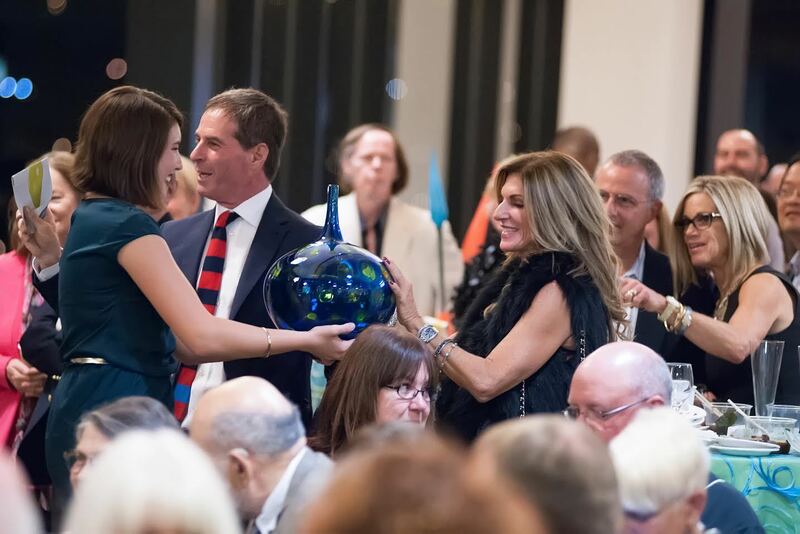 In addition to Royal’s creations, Art on Fire will feature two auctions, one silent with more than 100 pieces and one live auction with 20 pieces, PGC Marketing Director Paige Ilkhanipour said in a telephone interview. The PGC recently celebrated its fifteenth year since opening. 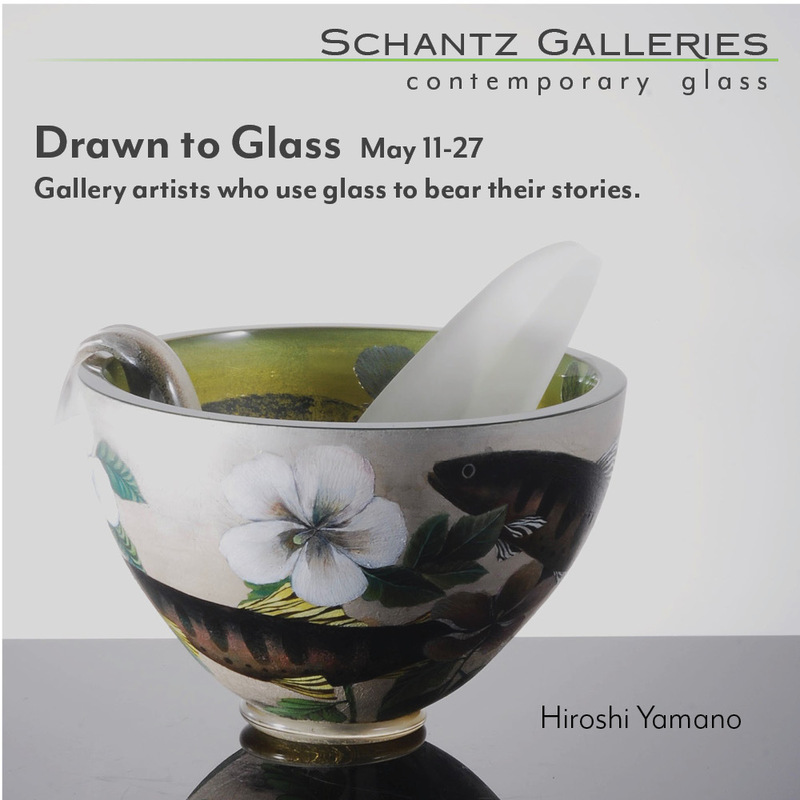 It offers classes, galleries and live demonstrations to the public and celebrates glass art. Its annual Art on Fire event showcases renowned glass art and brings in funding that makes public access possible. 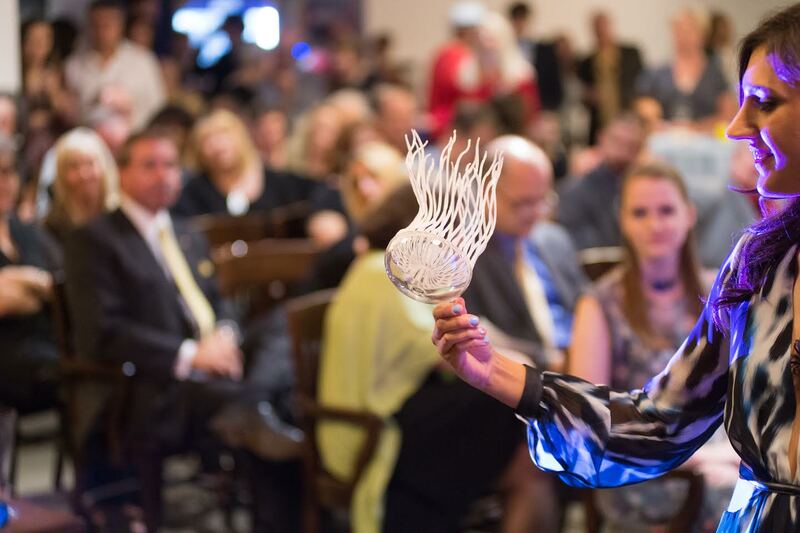 Any glass artist can submit art to the event, and a small jury will award the first, second and third place winners, with the first place prize a residency and the other two a monetary prize. Art on Fire, hosted by the Coterie Company, will take place on September 15th. The event was previously held at the American Eagle building outside the city, but will be in downtown Pittsburgh this year at the Frick Building, formerly Henry Clay Frick’s office and social club. An online gallery of the auction items will be available on September 1st. Richard Royal will lead a preview demonstration for ticket holders on Wednesday, September 13th. The event begins at 6 PM on September 15th with a live auction at 8 PM. Online bidding is available for the silent auction. Absentee bids for the live auction are accepted by phone at 412-365-2145. Tickets are $125.